The Bonneville Power Administration (BPA), which provides 35 percent of the electricity used in the Pacific Northwest, is pushing wind off its grid in favor of massive hydroelectric resources that are the result of an almost unprecedentedly huge snowpack melt. If the BPA continues with this effort, wind developers in the region stand to lose tens of millions of dollars and perhaps even their leveraged wind farms. As a result of a drenching winter and a rapidly warming spring, the snowpack in the Cascade Mountains is running higher in the region’s Columbia River Power System than almost ever before. Enormous supplies of free hydroelectric power quickly relieved BPA of the need for fossil fuels except as a tool for load balancing. More recently, hydro has begun to relieve BPA of the need for the region’s abundant wind resources. AWEA is threatening a range of legal actions if BPA refuses to ease the curtailment. "No one is above the law and no one can break contracts as Bonneville has,” Gramlich said. “Commerce can't exist without contract sanctity. This will have a chilling effect on investment." At stake is the question of how new renewables can be integrated into a grid operator’s power supply and how those renewables should be paid for. It is a question that will become a national issue as the use of renewables becomes more widespread. According to Doug Johnson, a BPA public affairs specialist, BPA is doing everything it can to ease the oversupply. Graphs showed that the BPA has shut down all possible fossil fuel generation in its system. It must use the free hydropower behind federal dams along the river system before available wind power is used, Johnson said, because it is bound to protect its ratepayers from unnecessary costs. BPA also cannot simply spill the excess hydro resource, Johnson said, because of potential harm to the river system’s salmon. Water standards that protect the salmon, he said, require the BPA to minimize the spilling of river water -- and the fish in it -- over dams. But “spill is the safest way to get young salmon heading to the ocean past big dams,” said Pat Ford, the Executive Director of Save Our Wild Salmon. “And by reducing hydro generation some, it will ease the over-generation problem." It is not “a wind versus salmon issue,” Ford said. “That is wrong factually and also the wrong approach.” Ford did acknowledge that spilling water from behind the dams would only ease the problem marginally. The real problem, Congressman Earl Blumenauer (D-Oregon) insisted, is that BPA failed to prepare to integrate wind into its system. "The Northwest Wind Integration Action Plan drafted in 2007 outlines what actually should happen. 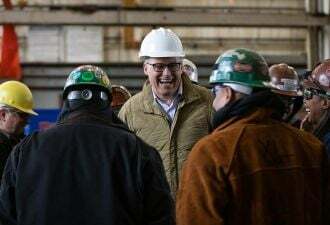 But 50 months later,” Blumenauer said, BPA’s inability to do anything but curtail wind demonstrates “an unfortunate failure of political will and imagination." BPA was given, the Congressman added, over two billion dollars under the 2009 Recovery Act to implement effective wind integration, yet it has not used the money to do so, he said. BPA’s Johnson insisted the utility and system operator has done everything it can to build transmission, but wind developers have built much faster than the 2007 Action Plan foresaw. 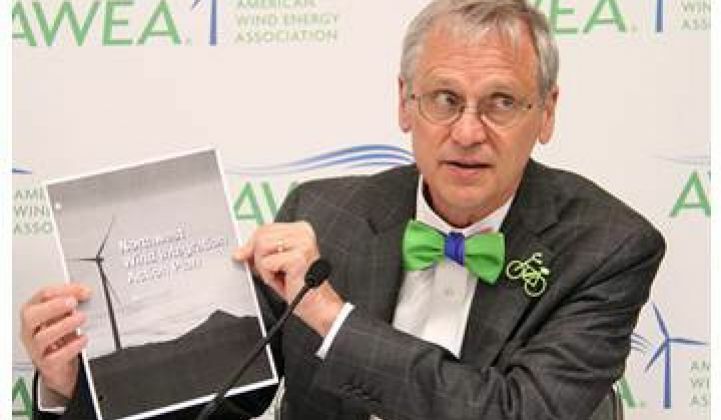 Referencing the Action Plan’s 16 summary points, Blumenauer pointed out that if BPA was competently and responsibly integrating wind, it could have developed better methods of using the existing grid as well as developing better tools to forecast wind and better methods of exchanging excess wind supply with other systems through integrated power markets that would benefit from new transmission but don’t necessarily require it. “Markets will respond,” Blumenauer said. “What happened here is that it was determined that wind would take the hit.” Whether or not it is illegal, Blumenauer said, it is certainly contrary to national policy. Curtailing wind is "in direct conflict with the stated renewable goals of the Department of Energy, the Obama Administration, many key energy policy leaders nationally and regionally, and at variance with what we've attempted to do in the Pacific Northwest to grow this industry." Moving wind to allied power markets would require shutting down fossil fuel supplies in them, something that would, BPA’s Johnson said, lead to market-driven financial burdens that it would be forced pass on to its ratepayers. Such a tactic would also, however, keep the region’s wind industry intact, something that will benefit BPA ratepayers long after this crisis has been forgotten. "Thousands of megawatts of fossil generation are still operating,” Gramlich said, “meaning other markets could take the power. It is how the power grid operates in much of the rest of the country and the rest of world.” Denmark and Norway exchange wind and hydropower, he pointed out. If BPA were willing, he said, “there is a lot of potential to do the same thing in this region."